How many of Sydney's amazing sights and experiences have you really sampled? Our city draws tourists from all over the world who come to climb the Harbour Bridge, pose in front of the Opera House and get a nasty case of sunburn on Bondi Beach. Bridge Climb is a great way to see the city. But for those of us who live here, the tendency is to avoid the usual tourist haunts in favour of "trendier" less crowded attractions. While understandable, this is a shame because Sydney has so much to offer to travellers - history, culture, natural delights, shopping and some of the most beautiful scenery in the world. Why should you only have fun when you're on holidays? Being a tourist in your own city is a great way to get a new perspective on the place you live. There's a reason why some attractions are so popular - and that is that they're really worth seeing. 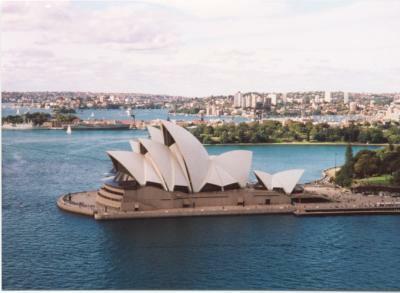 Knowing Sydney's tourist attractions inside and out will also help when you have friends come to visit from out of town. You'll be able to point them in the direction of the best experiences this city has to offer. For a bit of an adrenalin rush and to take in some spectacular city views, why not take on the Sydney Harbour Bridge Climb. You can choose from three guided climbs that take you 134 metres above the harbour on the city's most recognisable landmark. 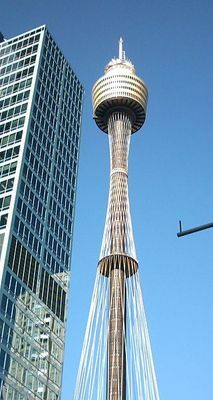 Sydney Tower's Skywalk will give an adrenalin rush. To really get high, take yourself up to Skywalk at the top of Sydney Tower. Stepping out on to the glass viewing platform at 268 metres above sea level is something everyone should experience. How long has it been since you wandered around gawking at the critters at Taronga Zoo? Or when did you last gaze in awe as a massive shark glides past at Sydney Aquarium? Another great option is Sydney Wildlife World, and it's especially good for a family day out. Whatever experience you're after, you can probably find it right here in Sydney. The Opera House vies with the bridge for the title of our most famous landmark, yet few of us know much about the history of this unique structure. Take a behind-the-scenes tour to find out how this special building helped put Sydney on the world map. Take a tour of the Opera House. For a fascinating insight into the city's history, go exploring in The Rocks. 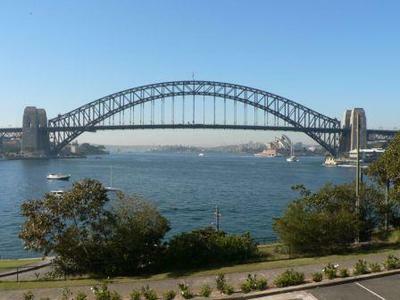 This is where Sydney began and it boasts a colourful history (as well as some great pubs). For something a little more action-packed, head over the harbour to Luna Park for some good old-fashioned amusement park fun. Entry is free so you can soak up the views, squeal your way through a few rides and stuff your face with fairy floss. And there's so much more to do when channelling your inner tourist. Brave the crowds of sunburnt backpackers at Bondi, catch the Manly ferry, or just spend some time wandering around Circular Quay and Darling Harbour. 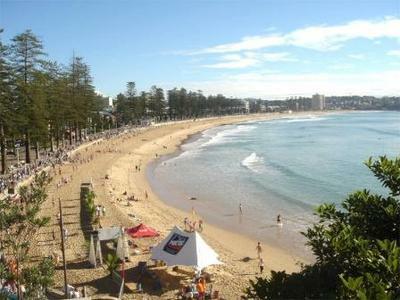 How long has it been since you caught the ferry to Manly? So the next time you've got a free weekend, try being a tourist and get to know your home city a little bit better.